Our 19-inch racking range has a wide variety to suit your needs from racks, sub-racks, transit cases and telescopic sides for wall-mounted and free-standing systems. Commonly used in server rooms and data centres, 19-inch racks are enclosures or mounts for housing computer networking and data equipment infrastructure. Racks can help to ensure that hardware and networking equipment require minimal floor space or shelf installation. The term 19-inch traditionally comes from the width of the front panel of the boxes that are housed in the rack. The height measurement is known as one rack unit or U and is standardised in multiples of 1.752 inches or 44.50 mm – in the IT industry a standard rack structure is 42U tall. Computer equipment that is designed to fit in a rack will often be referred to in terms such as rack-mount, rack mountable, subrack, rack-mounted system, server rack or a rack-mount chassis. Floor-standing data cabinets – These are normally geared up for cable management and have various cable entry points. They range from 12U to 47U in height and are used where a large number of passive devices and RJ45 patch panels are utilised. Patching cabinets – these are generally smaller, requiring less space, ranging from 4U to 8U in height and are ideal for use in the smaller office. Used to house 1-2 patch panels. Wall mount cabinets – Varied range of sizes available from 6U to 21U in height and are suitable for classroom/small office or retail applications. 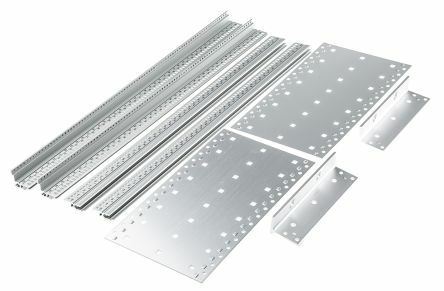 Sliding support accessories – DIN rail clips, slide rails and card guides to help make the installation of 19-inch racks within the cabinet easier. 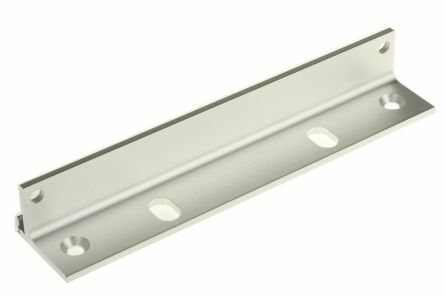 Fastening accessories – screws, tie bars, plates and mounting brackets to name a few. Cooling accessories – vented grills, mesh panels, fan expansion kits, ventilation covers all help airflow and reduce the risk of overheating. Organisation – identification strips and stacking kits. 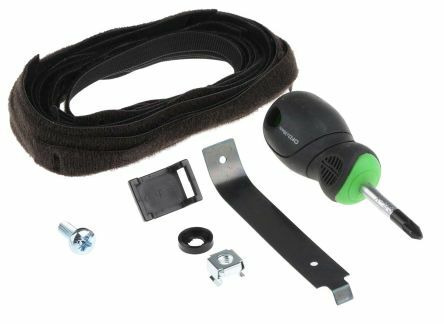 Cabinet hardware – additional accessories to customise your cabinet include handles, rack shelves, casters, side plates, locks, feet and doors. Suitable for all Ripac Vario and Ripac Vario EMC subracks. Includes channel for attachment of EMC gaskets and optional holes for front handle fastening. Parts supplied:. 1 x Flange: Extruded aluminium, clear chromated.